In the late 90's there were many positive stories in the international media about the technology-savvy Chief Minister, with the prestigious Time magazine even naming him South Asian of the Year. He was awarded "The Business Person of the Year" award in the year 1998, by the Economic Times. Mr. N.Chandrababu Naidu, Chief Minister of Andhra Pradesh who made the grade to World Link's dream cabinet shared the honors with the British Prime Minister, Mr. Tony Blair; Iranian President, Mr. Mohammed Khatami and Foreign Minister of New Zealand, Don McKinnon among others. Chief Minister has been declared as the South Asian of the Year, 1999 by the Time Asia magazine. Also Many National Media giants used to cover stories on Mr.Naidu in Late 90's. Outlook magazine in September 1998: “N. Chandrababu Naidu, Chief Executive Officer, Andhra Pradesh Inc. The Chief Minister has been voted as the "IT Indian of the Millennium", in the year 1999, in a poll conducted by a leading weekly magazine, 'India Today'. 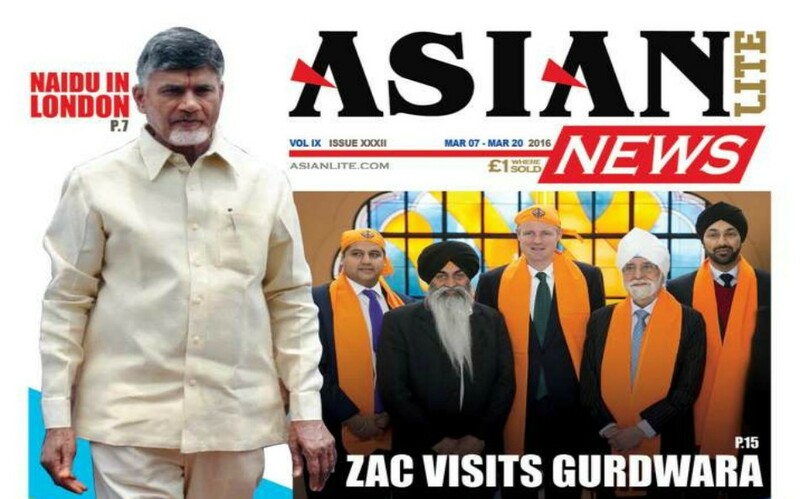 Now the time is back again, Leading Media in UK, Asian Lite News have come up with a cover story saying "Naidu rekindles Modi mood in London"